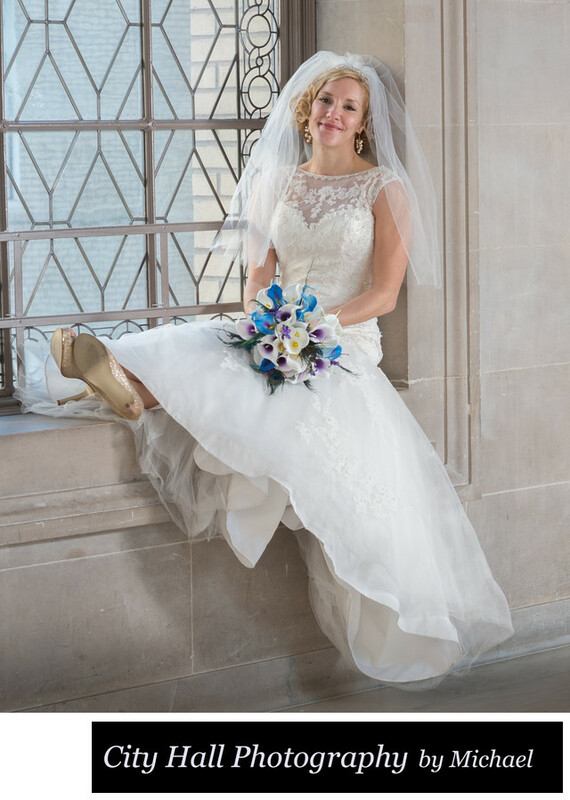 A very nice and relaxed portrait of our bride sitting on a City Hall window sill. Unfortunately, we can no longer pose our brides and groom on or in the window. This was allowed for many years, but the San Francisco City Hall events department is trying to make an effort to preserve the building. 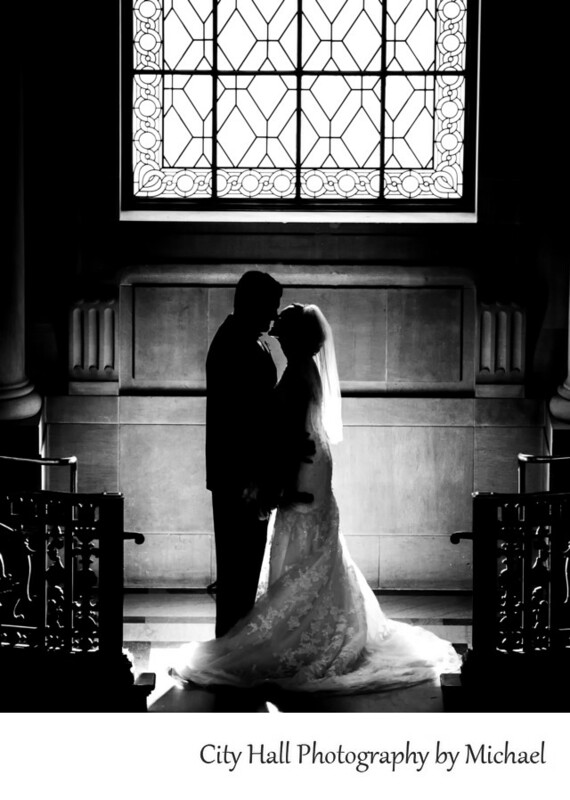 We often see other amateur wedding photographers still using the window this way, but since we are approved by city hall, we have to be careful to follow the rules! I still love this image and wish we could still do something similar. We have come up with new and creative ideas to pose our Brides and still use this great window as a backdrop. The image above is one example of another creative way to show the gorgeous windows at San Francisco City Hall. This is another window that brides and grooms used to stand in but are no longer allowed.